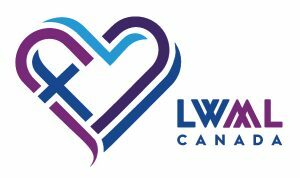 Twenty-five years ago, after 50 years of walking together, Lutheran Women’s Missionary League-Canada (LWMLC) was born out of Int’l LWML. Like a child we needed to learn to do things on our own; to find our place as an auxiliary of Lutheran Church–Canada; to be a place for the women of LCC to meet and raise money to support the missions of LCC as well as those close to home, and to have fellowship amongst each other. To show our unity with LCC, and to be familiar to those in our churches, our logo reflected that. We took what LCC had created and added Lutheran Women’s Missionary League-Canada to it. Twenty-five years later we have found solid footing. We have raised more than $2,560,000 to support missions in Canada and abroad. We have written hundreds of Bible studies, devotions, skits and songs to assist our women in being in the Word as they have fellowship with one another. We have met in convention ten times – knowing we are strengthened in Him when we meet together, share ideas of inspiration and feel unity as sisters! As connected as we continue to be to LCC, we have also become a vibrant entity in our own right. To show that, the time has come for us to put on a fresh new face reflecting who we are. Because of God’s great love for us we, the women of LWML-Canada, have hearts for service, hearts to study God’s Word, hearts for fellowship and hearts united in Christ. We are Lutheran women in Canada, and we are Lutheran women with hearts for missions.